As electric cars become increasingly common, it raises the challenge of charging them. At this point, it’s a given that eventually there will be a network of charging stations scattered throughout the country. Within a few decades, experts think finding a charging station for your car will be almost as easy as finding a gas station. Still, for early adopters of electric cars, those projections offer little comfort in the here and now. Some websites, such as EV Trip Planner, help with planning road trips but many drivers want the comfort that comes with something portable as a backup. That’s where the eMotorWerks device, JuiceBox, comes into play. The JuiceBox is reliable and stable as a charging unit. It’s also portable, making it an increasingly popular choice for drivers who want something they can use on vacation and longer road trips. JuiceBox is one of several portable charging stations available for drivers. What really sets it apart is the company’s dedication to integration. Over the summer, eMotorWerks announced the integration of Amazon’s Alexa voice commands. Users can check their charging rate, current range and any other details from the comfort of home by using their Amazon echo. Looking forward, this kind of union could easily lead to sending preset playlists to your car’s entertainment system, checking fluid levels automatically and essentially making it possible to get your car ready for a road trip without stepping outside. 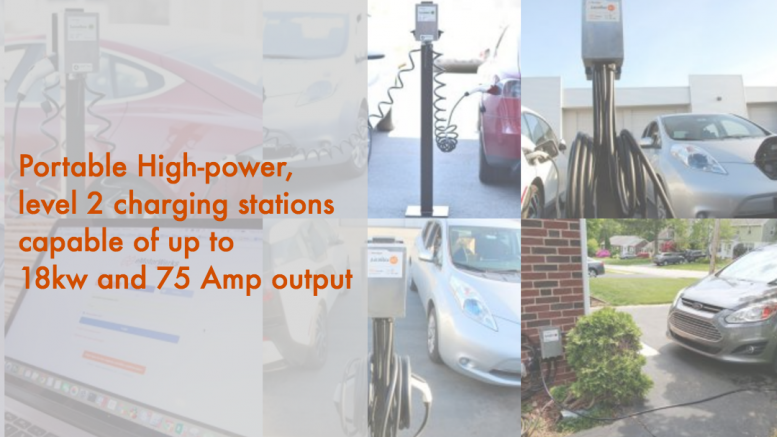 Connected EV chargers are taking the synthesis of cars and technology to the next level. Chargers and electric cars are connected via WiFi with smartphone apps and, now, even in your home’s central computer system. The JuiceBox is poised to become more than just an EV charger. By embracing other forms of technology, a charger like JuiceBox could easily become the central nervous system that connects your car to the rest of your life. Be the first to comment on "JuiceBox Offers EV Owners a Portable Fueling Option"